Some say the best way to avoid a computer virus is by using common sense, but that doesn’t necessarily mean you’ll be safe from attack. Even the most careful user (including myself) can find themselves infected in an instant and spreading the a virus faster than a sneeze in flu season. This reason Is why antivirus software is still the first package I install on all systems I work on – because you never know when you’ll be attacked. But the real question is, should you choose free or paid antivirus? Advertising: Much like a free app making its fortune with in-app purchases, the free antivirus software will push you to purchase the paid version. Expect popup boxes pestering you to buy their products at least daily. Some free options will also try to change your browser home page and default search engine, an inconvenience you may be stuck with. Whereas paid options are more respectful and largely invisible unless they’ve detected a problem. Effectiveness: It’s fair to expect your antivirus to detect malware, and testing showed that in a head-to-head battle free and paid are about equal at catching known infections. And therein lies the kicker…Known Infections. 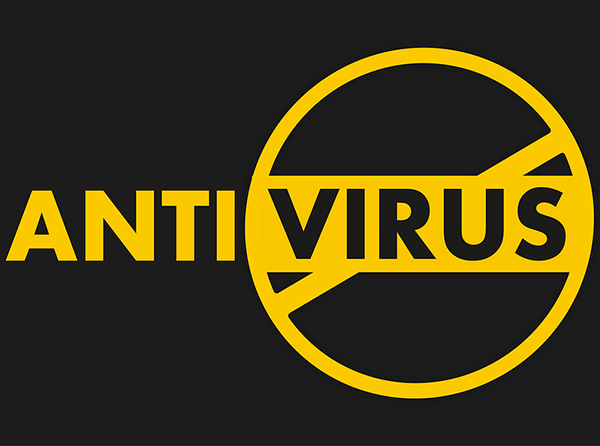 Generally speaking, a free antivirus needs to know about a virus BEFORE before it can detect it. However, a paid antivirus product is more likely to identify and stop a new virus. It essentially bases the detection on suspicious behavior, source and attributes, a far more effective method of detection. Features: Free antivirus options are usually created from the paid version, they rip out everything except the bare minimum. Whereas, in your paid version, you can expect advanced features like spam filters, firewalls, parental controls and secure web browsing. Some paid antivirus will also update your other software packages, forming a more secure protection against attacks. For example, you might view a malicious image file that takes advantage of an exploit in your PDF software. Unfortunately, hackers have advanced beyond simple tactics and it’s not just about avoiding email attachments anymore. Support: Free antivirus options are the most popular choice because they’re…free. Obviously. This also means there’s generally no support available. If there’s a problem or conflict with another program, you may find yourself without protection until it can be resolved. Paid antivirus options usually include telephone support, ready to help with problems ranging from installation to system diagnostics. Ease of use: Depending on what you use your computer for, this may be an important concern. Free antivirus options are easy to install and use, but are very limited in their flexibility. They come as-is, with no guarantee, meaning you can’t pick and choose what it monitors or how it reacts. For example, users occasionally find it necessary to disable some protections in order to install a particular piece of software or for troubleshooting other problems. Paid versions are more likely to allow you to change the way it runs, switching features on and off as required. Free antivirus is fine for very basic protection, those on a budget. In these cases, my opinion has always been “something is always better than nothing”. But I generally recommend you go with a paid antivirus to defend you from the new attacks that are released daily, and to ensure you’ve got solid protection that will make a real difference to your digital safety. Wouldn’t it be great if an Anti-Virus company stood behind their product and got rid of that virus that slipped through the cracks? …We do! Springfield PC PROS uses Emsisoft Anti-Malware as its recommended paid virus protection platform. We’re so confident in its abilities to keep your computer virus free that we have developed the PRO Care Virus Protection Plan. For $129 we will provide you with a 1 year license of antivirus for your computer, and if your computer becomes infected while under our care, we will remote in and clean it for FREE. Virus Insurance for your computer, just without all the fine print.